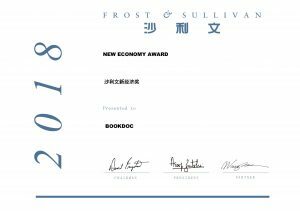 Based on the analysis of the Mobile Healthcare Technology market, Frost & Sullivan recognizes BookDoc with the 2018 Frost & Sullivan New Economy Award. 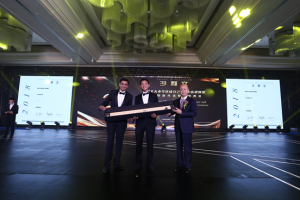 Guoping Yang, the Chairman of Shanghai Dazhong Public Utilities (Group) Co., Ltd., and Sarwant Singh, Partner in Charge of Frost & Sullivan’s EIA region and Global Practice leader of the Automotive & Transportation team, presented this award to Dato Chevy Beh, the Founder & CEO of BookDoc at Frost & Sullivan China New Economy Summit — Growth, Innovation, Leadership 2018. By leveraging cutting-edge mobile technology, mobile healthcare technology helps medical service providers and enterprises access a large amount of patients’ health data, which has become one of the fastest-growing sectors in the healthcare industry. Users are able to make appointments and consult with doctors online by installed health-related apps on the mobile devices. Meanwhile, medical service providers can achieve the monitoring and management of chronic diseases, collect and track users’ health data, and provide supports to the diagnosis and treatment of various diseases. In recent years, the development of health-related apps and the availability of mobile devices have impelled the growth of the mobile healthcare industry, which remarkably promote the efficient communication between patients and doctors. In addition, the mobile healthcare technology contributes to the reduction of health-related cost through optimizing traditional medical resources, which alleviates the burden of individuals. Given the increasing incidence of chronic diseases and the aging population, the mobile healthcare market is expected of great growth potential in the next few years. 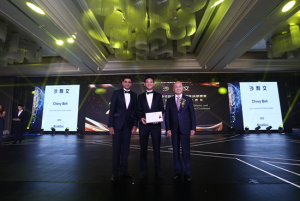 Founded in July 2015, BookDoc is a multi-sided online and mobile platform that improves access to healthcare products and services, which is operating in Malaysia, Hong Kong, Singapore and Thailand. In October 2015, BookDoc launched the mobile health application which aims to connect employees with panel clinics and hospitals to improve efficiency and optimize health benefit cost. BookDoc allows users to discover and access healthcare providers at anytime and anywhere, bringing forth timely access and optimizing medical resources. The users can conveniently search and make appointments online with general practitioners, specialists, dentists, and other healthcare professionals. With the latest collaboration with Quality Healthcare, one of the largest providers of healthcare services to corporates in Hong Kong, BookDoc has more than 50% coverage of the private healthcare facilities in Hong Kong in August 2016. In addition, BookDoc’s App is complete with navigation, land and air transportation, as well as hotel accommodation for users to attend medical appointments both locally and abroad. The services are achieved through linking its mobile app with Google Maps and Waze for navigation, Grab and Uber for land transportation, AirAsia for air transportation and Agoda for hotel accommodation. BookDoc has built strategic collaboration with those global companies to extend the convenience of services from virtual booking to physical transportation, delivering a better experience to all the users. 2018 Frost & Sullivan New Economy Award recognizes companies in a variety of regional and global markets for demonstrating outstanding achievement and superior performance in areas such as leadership, technological innovation, customer services, and strategic product development. Industry analysts compare market participants and measure performance through in-depth interviews, analysis, and extensive secondary research to identify best practices in the industry and nominate them to an independent board of third-party judges, who are composed of distinguished financial experts, professional bankers, investors, as well as well-known entrepreneurs of public companies listed on the Hong Kong Stock Exchange. 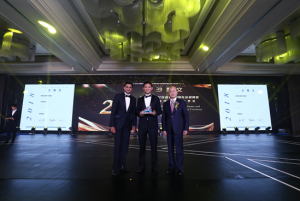 Frost & Sullivan recognizes BookDoc with the 2018 Frost & Sullivan New Economy Award in the Mobile Healthcare Technology market, Hong Kong, for its outstanding contribution in optimizing patient-physician communication, reducing health-related cost and offering a better healthcare experience.